Efficient, quick and friendly, prices great to. Ideally situated to pop into Worcester until car is ready. Took my BMW 5 series in for an oil and filter change which I had pre booked on line. Received a really friendly welcome from Mark who explained the process in detail. The work was completed on time and I also was given advice on tyre and brake pad condition. This was my first visit to National Tyres in Worcester and I was extremely pleased with the service I received so will definitely be returning in future. Well done to Mark and the team! First class from initial phone call to completing fitting of exhaust...all in less than 3 hours from initial contact. Great positive attitude to customer and very competitive pricing. Many thanks to Mark and his team for a 5* experience. Excellent service on a bank holiday to replace a damaged tyre. Quick and efficient. Staff were helpful and efficient. I was served by Stephen Hunt. I needed to have two front tyres fitted. He gave me a detailed review of the tyres available including price, grip and noise. He also said that they would check the tracking and brake condition whilst doing it. We left the car and returned later to find the tyres fitted. Stephen took us through the tracking report (nothing needed) and advice that the brakes will need disc/pad replacement soon. I will look to check as to whether your price competes with my regular garage on this and you may get this business. Overall, Mr Hunt did an excellent job with a great balance of knowledge and advice. He knew his stuff and you will get repeat business with such customer service. Stopped to ask directions to a petrol station and Steve kindly offered to check for me and added a little air. The alert had actually come on due to the need for 2 new front tyres. These were replaced very quickly by Andy, at a good price and allowed me to travel safely home to Sheffield with my passenger. Excellent job, thank you. Mark White was very courteous. Answered my questions in a clear informative manner, both on the phone and at the garage. I hate to admit but this was the first time I had to deal with a change of tyres in 40 plus years. I used this garage because my late husband had always been pleased with the service. All the staff are extremely helpful and efficient. An excellent example of what good customer service should be. A very polite, fast & efficient service. The tyres were fitted in no time and I was on my way. The guys at worcester branch are fantastic. Always helpful and friendly. Never talk rubbish about things that need doing or dont need doing. I usually see Asa and Steve who always serve me with a smile. Would highly recommend this place to anyone. Possibly the most efficient, friendly and knowledgeable tyre fitting that I have ever had. Thank you. I recently bought four new tyres for my VW Transporter from your Worcester branch and just wanted to say what fantastic customer service I received from your staff. Although it was a bit of a difficult job to refit my alloys, Steve and Andy battled on and did a fab job. Picked up a tack in one of them this week and received equally good service from Mark today.. Thanks you, boys... Pats on the back all round!!! Friendly, polite staff who tool time to explain details. Fast Service. Local branch (Worcester) are polite, efficient and helpful. Staff member attending to me today was Steve. Excellent service, excellent manners and an attitude of politeness at all times. Very efficient friendly service. Plenty of useful advice and phone update to say the work was complete. Special mention for Steve who sorted us out. Great customer service, staff were well prepared to work on our vehicle and gave comprehensive feedback and advice on completion. Reception area was spotlessly clean and well presented. Very good staff attitude ,helpful and ready to explain all work carried out, tidy site and building.Half price on wheel alignment with voucher i am very happy. Excellent and prompt service. Friendly and helpful staff. Very clean premises. Excellent customer service at a very good price.Many thanks to the manager Mr.Asa Booth and his team for their excellent customer service and advice.I will certainly recommend National Tyres Worcester branch to my friends and work colleagues. Friendly service. Price is very good. Having found my car to have a slow puncture I needed it sorting quickly. National tyres dealt with it at very short notice and provided excellent service care including a safety inspection and advisory . Thank you so much! I was very happy with the prompt service I received. My problem was quickly diagnosed, the spare part ordered and delivered very quickly and fitted soon after that. Price for service very reasonable. The exceptional, personal and exceedingly helpful service I received from Darius Harrison. He was thorough, professional and incredibly knowledgeable, which made me feel like I was in very safe and capable hands. It engendered a trust that he not only knew his job inside and out, but that he was genuinely concerned for my welfare. I honestly felt like he wanted to look after me and that he valued my custom, a sense that you don't very often get in this industry and a standard of service you rarely see these days generally. Great service by the staff, really helpful and able to book my car in and get the parts quickly. Very good fast service. I will use you again. My local branch in Worcester is excellent. The staff are so friendly and helpful, nothing is too much trouble . Very keen , very eager to help. What customer service ! It puts many to shame . We OAP s really appreciate things like that ! Excellent service - helpfulness and politeness of staff. Prompt service and friendly helpful staff. Was happy with the service and price. Helpful and efficient service. Tyres in stock when I called providing me with the ability to just call down at my convenience. Ability to leave car on site and collect later. First class service and well stocked , clean and tidy workshop. Good value for money, great service. Staff very helpful. Happy to price match too, which keeps customers loyal. Very helpful gave good adverse about the other tyres on my car. Friendly, expert advice and general customer service. Friendly staff, competitive prices, great service. The staff are polite and welcoming. Good service just abit pricey. Hot drinks machine in waiting room at a price though. Excellent quality service and friendly staff in the Worcester branch. Friendly but professional service. Good prices on tyres. Outstanding customer service from Rhys who I understand is the assistant manager at the Worcester garage, he was helpful, friendly and nothing was too much trouble. it is rare nowadays to get such exceptional service from an establishment that sells tyres etc. 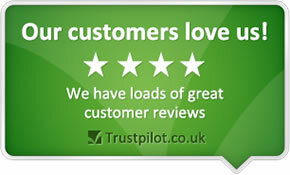 I will have no hesitation in recommending Rhys at your Worcester stores to my friends and family. I have purchased run flat tyres for my BMW and then returned for tracking and wheel balancing and always received outstanding service. please pass my congratulations onto Rhys as so many people are quick to complain but rarely take the time to praise good service. Being remembered by name as a previous customer is also a great quality that Rhys demonstrated. appear to be honest and sometimes say tyres are fine when other places would try and sell new ones. Had goodd experience with MOT and Service recently carried out. Polite and helpful. Good, honest service - and hot chocolate! More or less, job took the allocated time. Had a very good experience, the customer service was good. I thought the service was great from what appeared to be very knowledgeable and friendly staff. I was advised to get my wheel alignment and tracking checked out which I have now had done by your goodselves. I have also already recommended you to a friend and neighbour who has in turn already visited and bought some tyres!! I thought the service was great from what appeared to be very knowledgeable and friendly staff. I have in fact already recommended you to a friend and neighbour who has in turn already visited and bought some tyres!! Friendly professional service, staff well knowledged. Plenty of tyres in stock (other places needed to order practically everything). Very fast fitting. Friendly staff. Good service clean environment and fair prices. Excellent...price....friendly service......professional fitters..........in particular Rees the fitter.......whorepresents your business well. We were delt with quickly and your employees worked efficiently.